Meet Standring Heritage Photography who will be exhibiting at The Bridgewater Hall event this October. We asked this lovely couple to tell us about themselves and what they can offer our newly engaged couples when looking for a wedding photographer. No doubt you will have given some thought to your wedding photography by now. You may have a picture in your mind about how you want your wedding photographs to look or you may be looking for some inspiration, bearing in mind that they are going to be the lasting memory of your delightful day. You want your photographs to look loving, romantic and natural, yet vibrant and modern. Most importantly, you want to feel comfortable with your wedding photographer. We understand what it’s like for couples as Standring Heritage Photography was born out of planning our own wedding and understanding the importance of capturing and keeping those special moments for years to come. 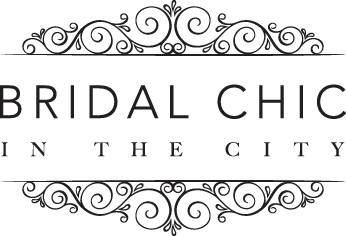 We are truly professional and place a huge amount of importance on preparation – visiting the venue and meeting key people in advance of your wedding, taking away any additional stress and allowing you to feel confident and assured so that you can enjoy your perfect day worry-free. No detail is too much trouble for us and we’ve always got an emergency kit on hand for those unexpected moments! Spending time with us during the preparations helps you to be far more relaxed on the day itself and then there’s always an engagement shoot available to really put you at ease. Dean is our amazing photographer and has been taking photos, both as an amateur and now as a professional, since a young age. He loves seeing the emotional and giddy reactions of his brides and grooms when they see their photographs for the first time. Presenting their handmade album to the happy couple is the second part of the process and it often evokes a tear from the bride when they fall in love with their images over and over again! Alongside his passion for photography and as an ex professional water polo player, Dean loves all sports (more watching than taking part these days), especially those that are water based. He fancies himself as a bit of a sommelier – excelling in choosing a good wine to match with Kate’s cooking. Oh, and a good brandy at the end of a long day shooting won’t go a miss! Kate is a full time corporate lawyer and so provides the legal brains to the business. She helps with the marketing, and more importantly organises Dean to ensure he’s in the right place at the right time! When able, Kate assists Dean at events to ensure everything runs as smoothly as possible and turns her eye to the detail. There’s never a layer of tulle or lace out of place! Once Dean has finalised the photographs, Kate designs the initial layout of the wedding albums appealing to her more creative side. She loves shoes, cooking (a wannabe Masterchef), completing things on her bucket list and everything that sparkles (champagne, diamonds, diamantes, and everything wedding related)! If you choose us to share your wedding day with you, we will capture every detail to ensure that the months of planning and a lifetime of dreaming are turned into stunning images that will tell the story of your special day and that will remind you of the emotions and feelings you felt each time you look at them. We like to keep it simple by just offering one simple package, including all of the preparations, pre- and post-wedding meetings, a full day of shooting from bridal preparations to first dance and cutting the cake, a password protected online gallery linked to a shopping cart so you and your guests can buy those extra images, and all of your images on a USB stick in a beautiful timeless presentation box.